Plum Paper Planner 2016 - Nekaro & Co.
Last year, I thought I was in trouble. In 2013 I'd finally found a planner, Much Ado About You, that was so helpful in helping me keep up with the kids activities, bill, birthdays, etc., but then it was time to order a new one and the owners had decided to stop making them. Bummer. Of course, I knew about Erin Condren. Those planners are awesome. They are also crazy expensive. 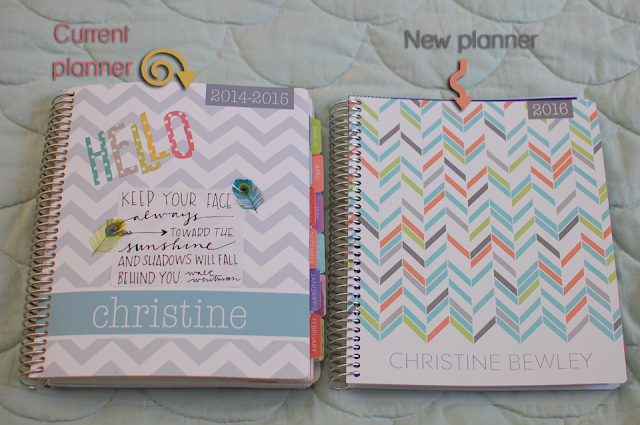 Too expensive to be not as customizable as other planners. That's when I discovered the Plum Paper Designs planners. You can see my first semi-review here. The MAAY planner ran from September through August. 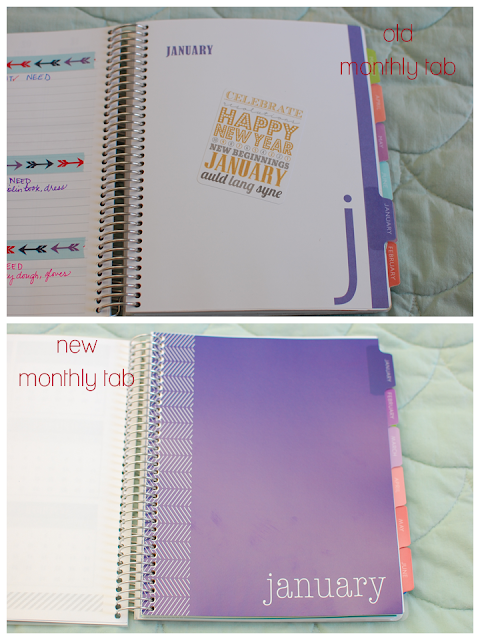 One of the great things about the Plum Paper planner is that you can order it with any start month you'd like. My first one was 16 months so I could get back to a January to December calendar and I purchased the add-on stickers. This year I went with a 12 month with no add-ons. The very first thing I noticed with the new planner was the quality of the cover. The new one is smoother with better color. I desperately wish they would do away with the frosted plastic covers and go with laminated ones instead. This is not a deal breaker for me though. I've been using my first Plum Paper planner since last September and the frosted covers are still intact and working fine. The picture above is without the frosted covers. They changed up their monthly colors around May. I love the new colors. The monthly cover being color instead of white is nice as well. The monthly at-a-glace, pocket folder, and basic layouts stayed the same. I have the MORNING-AFTERNOON-EVENING layout. I briefly considered going with a family planner, but for me the M-A-E works great. Another thing I love about the Plum Paper planners are their four different layout options. Now here is something really awesome. 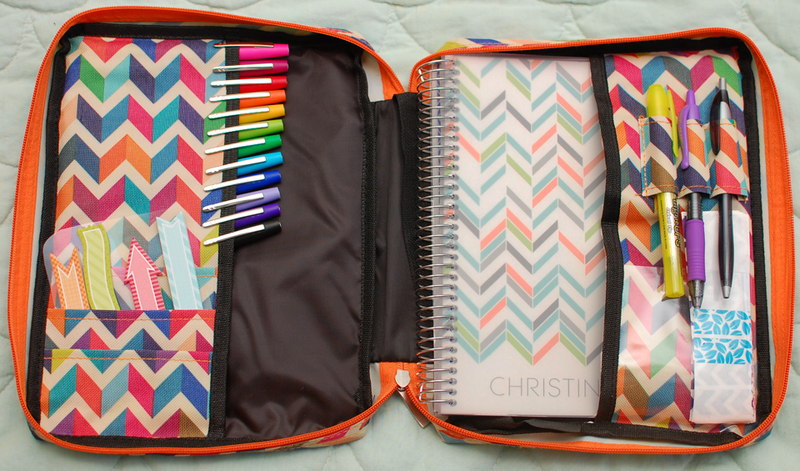 I usually just pack my planner in my bag. Sometimes the pages get bent or things fall out. Or in. A couple of weeks ago, someone in a planner group on Facebook posted a photo of a cover that a friend of hers had found at Wal-Mart. I thought it was very cute. The problem was (and still is) everyone was having trouble finding them. They aren't listed online and many stores don't have a good book/magazine section. It is a bible cover y'all. I would never in a million years have thought to see if a bible cover would fit my planner. But they do and it is wonderful. Plus... $9.95. 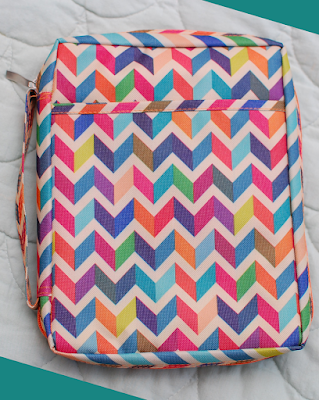 I've looked at planner covers online and they are always out of my price range. With my old Much Ado About You planner, I made my own cover, but it doesn't fit the current planner. When I saw these I knew I'd have to check my local Wal-Mart for one. Luckily, I was able to find this one at the second one I checked. There are only a couple of things I wish Plum Paper could/would change. Laminate their covers and get rid of those frosted things that take away from the brilliant colors of their covers. Label the backside of their monthly tabs. I can get past these issues though because the regular planner is only $31 plus shipping, which is $8.75. There are usually 10% off discount codes floating around too so you can always get 10% off that price! 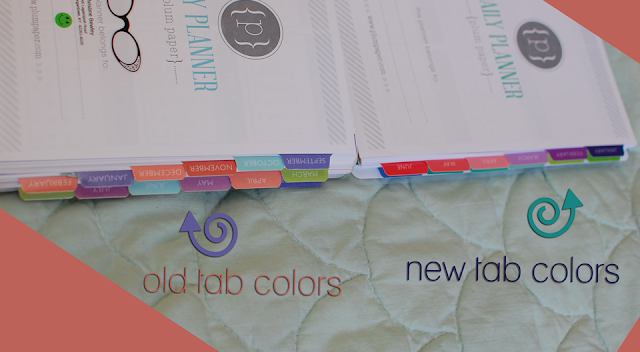 I am definitely a Plum Paper planner user fo-eva! That's awesome. 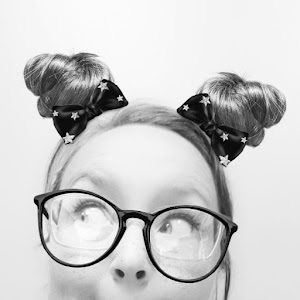 I bought an Erin Condren planner last year and I love it so much, but it runs out in December and I'm starting to ponder if I want to buy another crazy expensive one or try a different company. Decisions, decisions. I do highly recommend Plum Paper Designs. They have so many options, from layouts to colors (you can even change the colors of ANY cover - just sent them the hex codes you would like to use), and their customer service is awesome. 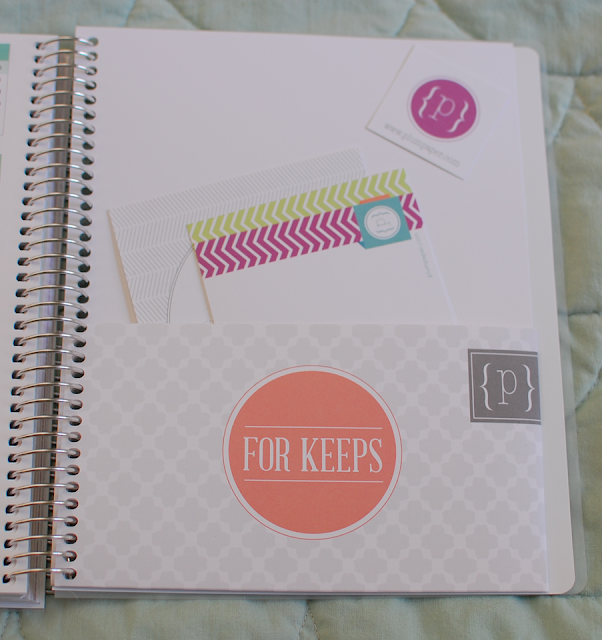 Even with the price of shipping, you will be spending less than an EC planner. The processing time is quite long right now, but I got mine in about three weeks. It shipped a full week before it was scheduled to. Don't get me wrong, I love some aspects of the EC planner, like those laminated covers. I'm hoping that in the future the Plum Paper people will convert to them. i LOVE this bible case/cover... where did you get it? Walmart, in the magazine/book section. It's a Bible cover.